This development offers the following schemes: Help to Buy (Scotland) - Move with just a 5% deposit using the Scottish Government's Help to Buy (Scotland) schemeHome Change - We'll help sell your house in 3 easy stepsPart Exchange - If the thought of selling your existing property is putting you off buying a new home then our Part Exchange service could be the solution for you Schemes are available on selected plots only, subject to status, terms and conditions apply. Contact the development for latest information.Style Description The Fortrose's key features: Rear aspect generously sized lounge Kitchen with garden access Downstairs cloakroom Handy storage cupboards in hall, landing and master bedroom Optional wardrobes in the master bedroom and bedroom 2 Master bedroom with en suite Garage and drive Ground floor The ground floor is home to the large lounge, kitchen with french doors opening to the rear garden, convenient WC and a storage cupboard. First floor First floor, the master bedroom has its own en suite, there are 2 further comfortable sized bedrooms, family bathroom and more storage. Note: Floor plans may vary from plot to plot. Please ask your sales adviser for details of your chosen plot.RoomsGround FloorLounge (3.2 x 5.13 m)Kitchen (2.44 x 3.43 m)WC (1.09 x 2.13 m)Garage (2.39 x 4.95 m)First FloorBedroom 1 (3.58 x 4.19 m)En Suite (2.11 x 1.55 m)Bedroom 2 (2.84 x 3.07 m)Bedroom 3 (2.84 x 2.46 m)Bathroom (2.11 x 1.96 m)SpecificationSpecification We are a national house builder with a local approach to building your new home. We will provide you with the specification appropriate to the locality of your selected new home and development and we will explain the choice of external materials used, for example your brick colour and roof tiles. You will be able to select certain elements of the fixtures and fittings encompassing the latest designs from leading manufacturers, subject to the stage of build of your chosen home. If you wish to further personalise your new home, an exciting range of options is available to purchase from our Finishing Touches scheme. Our experienced sales team is on hand to guide you through the choices available to you depending again on the stage of build. Quality Assured Your new home will be built in accordance with all relevant technical and building regulations, in particular the Government's Code for Sustainable Homes. In addition all stages of the construction of your new home will be inspected by our experienced construction staff. On completion of your new home we will provide you with a quality assured certificate for you to keep. 10-year NHBC (or equivalent) Warranty A 10-year warranty is provided with every new Persimmon Homes home. A comprehensive guide explaining the warranty will be supplied to you. We will ensure warranties provided by the manufacturers of appliances are honoured for the first year of occupation. Our Customer Care Department is on hand to offer you the necessary guidance and assistance.About Parkhall MeadowFind your perfect new home at Parkhall Meadow Parkhall Meadow is located in Maddiston, an attractive village close to the popular town of Falkirk. Overlooking the Forth Valley, Maddiston provides the perfect place to view the beautiful surrounding scenery. 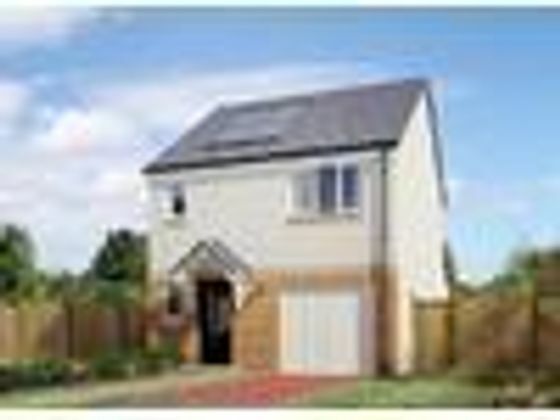 Choice of 2,3,4 and 5 bedroom homesExcellent transport linksGreat choice of school Close to Falkirk Easy commuting to Edinburgh, Stirling & Glasgow Parkhall Meadow is set in a peaceful location close to woods and farmland. The development will be further enhanced by the addition of pathways, active open space and contributions towards education at the local school. However, although its situation is semi-rural, it also enjoys fantastic transport links and is close to the M9, making an easy commute to Falkirk, Edinburgh and Stirling. Maddiston has a Post Office and two convenience stores for day-to-day necessities, plus the development's close proximity to Falkirk means you can take advantage of all the amenities of this vibrant town. It's one of the largest urban areas in Scotland and so benefits from extensive shopping and leisure facilities, including a multi-screen cinema, swimming pools, golf courses and a number of bars and restaurants. The ancient town of Linlithgow is just a short car journey away and is steeped in culture and offers fantastic days out to historic venues such as Linlithgow Palace. A great location for days out? If you enjoy the great outdoors, Parkhall Meadow is the perfect setting as you're close to Muiravonside County Park ? perfect for walking and cycling. For the golfers amongst you, the Falkirk Golf Club is also within walking distance. Other key local activities include the Polmont Farm Dry Ski Centre and the Helix Ecopark, which is 350 hectares of land between Falkirk and Grangemouth for cyclists, walkers and runners, including the striking Kelpies Sculptures Experiences Tour. Falkirk is also home to what could be Scotland's first structural icon of the twenty-first century, the impressive Falkirk Wheel. Families with children are well catered for as there's the Maddiston Primary School located just1.1 miles from Parkhall Meadow, with Braes High School for older children 2.3 miles away. Quality schooling, along with its superb location, expertly-designed homes, wealth of shopping venues and great days' out on your doorstep Parkhall Meadow is a great place to call home. To learn more about this development arrange an appointment.TransportParkhall Meadow enjoys an ideal central location meaning you'll be conveniently close to the M9 and M8 motorways, with their connections to the M876, M80, M73 and M74. Maddiston has excellent transport links via rail with Polmont train station just 1.7 miles from the development offering easy routes to Glasgow and Edinburgh. And whether it's for business or leisure use, you're also within easy range of Edinburgh and Glasgow airportsOpening HoursMonday 11am - 6pm, Tuesday Closed, Wednesday Closed, Thursday 11am - 6pm, Friday 11am - 6pm, Saturday 11am - 6pm, Sunday 11am - 6pmDirectionsFrom Glasgow: Travelling on the M9, at junction 4 take the A801 / A803 exit to M8 / B9080 / Bathgate / Livingston / Kirkliston / Linlithgow / Polmont, at the roundabout take the 4th exit on to A801, at the roundabout take the 4th exit on to B805, turn right on to Chrisella Terrace, continue on to Murray Cres, continue on to Velore Road From Edinburgh: Travelling on the M9, at junction 4 take the A801 / A803 exit to A706 / Bathgate / Livingston / Polmont, at the roundabout take the 2nd exit on to A801, at the roundabout take the 4th exit on to B805, turn right on to Chrisella Terrace, continue on to Murray Cres, continue on to Velore Road.DisclaimerImages depict typical Persimmon Homes house type. All room dimensions are subject to /- 50mm tolerance. This information is for guidance only and does not form any part of any contract or constitute a warranty. All information correct at time of publication and is subject to change. Please check specification by contacting the development directly. Property advert Ref 4275946 - Is a property advert for marketing purposes only, the information has been supplied by the owner, estate agent or property portal and The House Shop makes no warranty as to the accuracy or completeness of the information. Furthermore we have no control over the adverts content. This property advertisement does not constitute property particulars. Please contact the advertiser to obtain any information regarding The Energy Performance Certificate regarding homes in England and Wales or Home Report for residential property in Scotland.